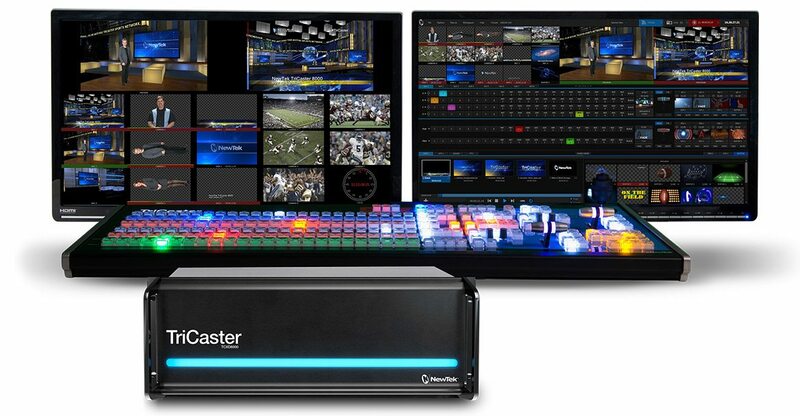 Whether video is your job, your passion, your entire business, or your chosen communication method, with TriCaster—the most complete multi-camera production system on the planet—you can make anything from keynote presentations and webcasts to online training and sports events look just like network television. Customize TriCaster’s software interface, camera setup, and show controls to match your level and preference. The most complete multi-camera production system on the planet. TriCaster integrates an entire suite of studio capabilities into one solution, so creating your productions won’t require investing in racks of traditional video production equipment. Create exactly the look you want with the most powerful effects engine available, animated transitions, multi-layer M/Es, and software to design your own custom effects. Display important information, share details about what’s happening on screen, and brand any aspect of your productions with customizable lower-third graphics, title frames, and bugs. Tell your story. Choose your solution. Explore the entire TriCaster family including a full suite of control surfaces, premium add-on software, and first-rate support.